First America's Cup race between Defender & Valkyrie III, Defender won. DEFENDER WINS THE FIRST CUP RACE; Defeated the Valkyrie by 8 Minutes 49 Seconds in a Beat to Windward and Back. 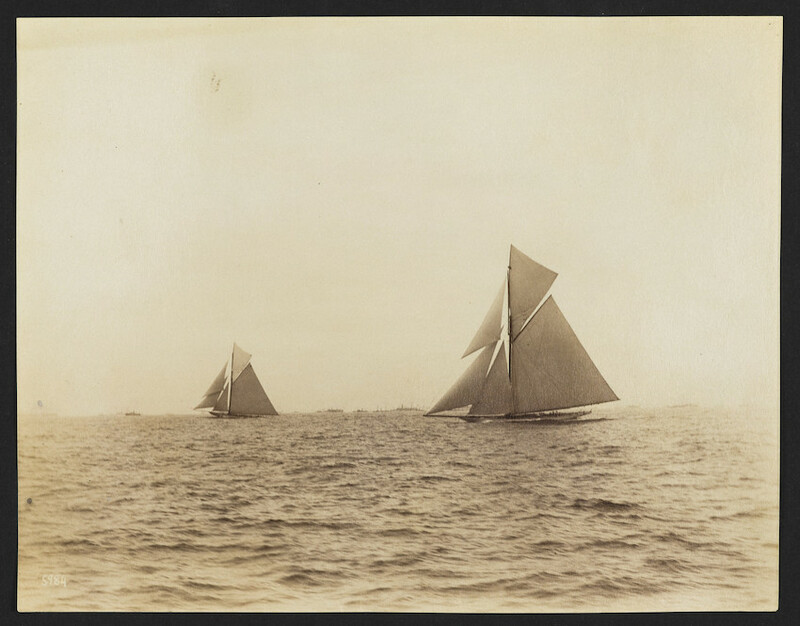 OUTSAILED THE ENGLISHMAN AT EVERY POINT The American Boat Led in the Thrash to Windward by 3 Minutes 23 Seconds.